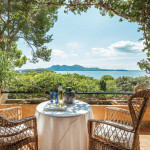 Property with terrace in Palma. Would you like to know how much it costs? HOMA Real Estate is the 1st online agency of Mallorca at buyer service and his needs. We listen your idees, projects, understand your requirements and we converse its in reallity.